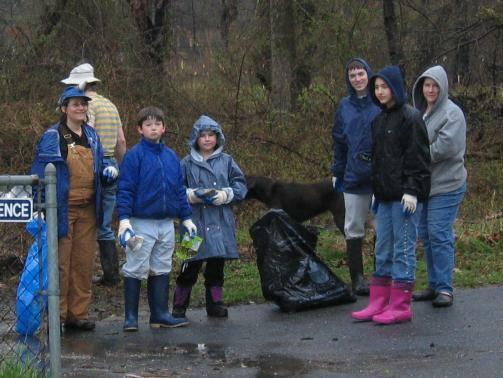 The CCRIC Potomac Watershed cleanup in Berwyn Heights took place after heavy rain the day before and overnight. We are prepared and start recycling all bottles found. 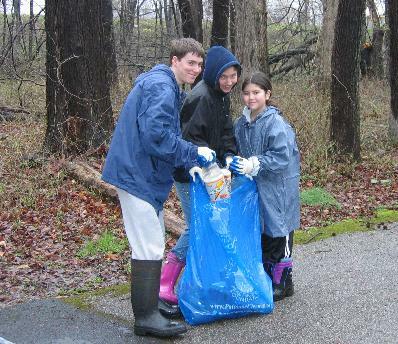 A handful volunteers came out despite the drizzle and removed trash from the banks of Indian Creek and the stream park between Greenbelt Road and Berwyn Road. 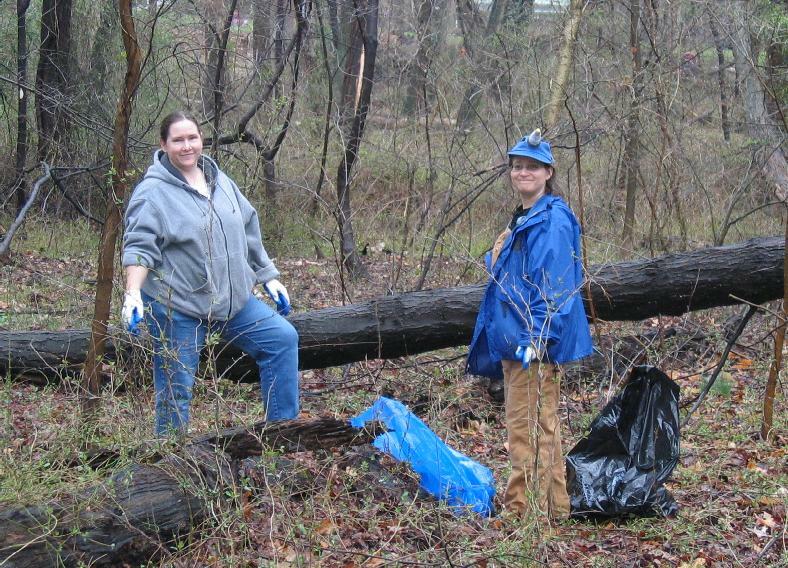 The stream carried high water from the rain and much debris was snagged around trees and piled long the high-water marks of the past few weeks. As we finished at 11 AM the rain became heavy. 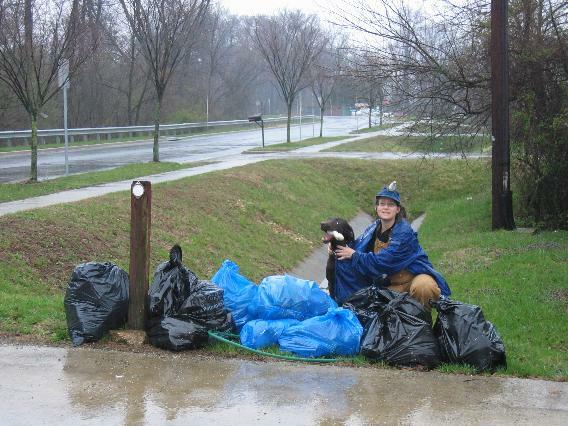 We collected a total of 13 bags' worth of trash - 5 bags with recyclables. We finished just as it was starting to rain harder again. Smile! The guy with the camera is everywhere. We love order! Trash is ready for pick up.